Support us | Bag Books provides multi-sensory books and storytelling for people with severe or profound and multiple learning disabilities. There are over 300,000 people in the UK with severe or profound and multiple learning disabilities. Bag Books exists to enhance the lives of these people through the joy of multi-sensory books and storytelling. Bag Books receives no government or statutory grants. We rely entirely on the generous support of our donors to continue our life-enhancing work. 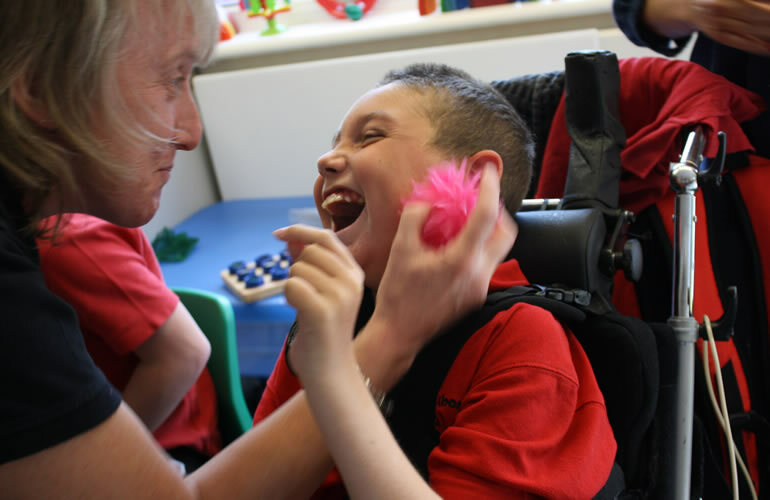 Please consider getting involved today and help us to put a smile on the face of a profoundly disabled person.